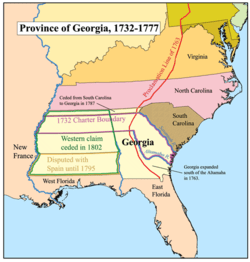 The Constitution of the State of Georgia is the governing document of the U.S. State of Georgia. The constitution outlines the three branches of government in Georgia. The legislative branch is embodied in the bicameral General Assembly. The executive branch is headed by the Governor. The judicial branch is headed by the Supreme Court. Besides providing for the organization of these branches, the Constitution carefully outlines which powers each branch may exercise. The Georgia State Constitution was ratified on November 2, 1982. It is the newest state constitution in the United States and Georgia’s 10th Constitution, replacing the previous 1976 constitution. Georgia has had ten different constitutions in its history. Prior to having a formal constitution, a document entitled Rules and Regulations of the Colony of Georgia, drafted in 1776, was in effect. 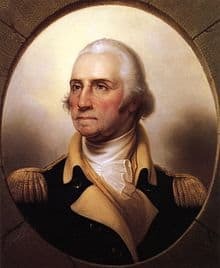 A year later, in 1777, another constitution was drafted, followed by the constitutions of 1789, 1798, 1861 (after joining the Confederate States of America), 1868, 1877, 1945, 1976, and 1983. All constitutions up until 1945 were drafted by constitutional convention. That year, Governor Ellis Arnall appointed a twenty-three member commission, devised of all three branches of government, to write a new constitution. In 1977, a select committee was created to discuss revision of the 1976 constitution. Members included the Governor, Lieutenant Governor, the Speaker of the House, the Attorney General, representatives of the General Assembly and the judicial branch. Agreement on a constitution was made in August 1981 and in August and September of that year the document was submitted to the General Assembly in a special session. The constitution was approved on 25 September 1981 and went to vote in the general election and was ratified on 2 November 1982. The current Constitution streamlined the previous one and did away with authorization for local amendments. The Constitution consists of a Preamble and eleven Articles. The Preamble to the Georgia State Constitution is a brief introductory statement describing the principles which the Constitution is meant to serve. It expresses in general terms the intentions of its authors. It does not grant nor prohibit any authority to the state government. However, it has at times been used by the Supreme Court of Georgia to help in deciding a case. For instance, the Preamble was cited in 1982 in Roberts v. Ravenwood Church of Wicca, and later the portion of the Preamble which states “…promote the interest and happiness of the citizen and of the family…” was used in several court cases regarding family issues such as Clabough v. Rachwal, Dixon v. Dixon and Arnold v. Arnold. Article One describes the Georgia Bill of Rights. These are the Rights of Persons, the Origin and Structure of Government and other General Provisions. The first Section, the Rights of Persons, lists twenty-eight paragraphs of individual rights. Many of these rights are similar to the rights listed in the United States Bill of Rights. Yet, there are differences. For instance, the Georgia Bill of Rights lists among its freedoms the Freedom of Conscience, which is the “natural and inalienable right to worship God, each according to the dictates of that person’s own conscience” without interference and adds the right to religious opinion along with freedom of religion. Section II describes the “origin and foundation of government”, the “object of government” the separation of powers and the superiority of civil authority over military authority. Also, this section explicitly describes the separation of church and state. Finally, Section III, General Provisions, deals with Eminent Domain, private ways and Tidewater titles. Article Two describes Voting and Elections in Georgia. Specifically, the three Sections of the Article deal with the method of voting and the right to register and vote; general provisions and suspension and removal of public officials. Article Three describes the Legislative Branch of Georgia’s government. The Article establishes legislative powers; the General Assembly’s composition; officers of the General Assembly; organizations and procedures; the enactment of laws; the exercise of legislative power; method of impeachment; insurance regulation; appropriations; and retirement systems. Representatives must be at least 21 years old, have been a citizen of the state for at least two years, and be a resident of their district for at least one year. Senators must be 25 years old, have been a citizen for two years, and live in the district they represent for at least one year. Article Three establishes meetings, time limit and adjournment of the General Assembly and allows each house to establish its own rules of procedure, provide for its own employees and interim committees may be created by the General Assembly or by either house. Article Four describes Constitutional Boards and Commissions. This Article consists of seven Sections describing six boards and commissions and their powers. Section I deals with the creation of a Public Service Commission to regulate utilities. Section II created a State Board of Pardons and Paroles. Section III instituted a State Personnel Board and Section IV created the State Transportation Board. Sections V and VI are responsible for the Veterans Services Board and the Board of Natural Resources respectively. Section VII deals with qualifications, compensation, removal from office and powers and duties of those boards and their members. Article Five describes the Executive Branch of Georgia’s government. This Article is made up of four Sections. Section I details the election of the Governor and Lieutenant Governor. Section II lists the duties and powers of the Governor. Section III discusses other elected officials and Section IV discusses the disability of executive officers and how to go about choosing a successor should an executive officer become permanently disabled. Article Six describes the Judicial Branch of Georgia’s government. This Article contains ten Sections which discuss the different courts and their powers and jurisdictions. Article Six also details the role of the district attorney in Georgia’s justice system. Article Six also solidified the courts which, prior to the current constitution, were terribly fragmented. Article Seven deals with Taxation and Finance in Georgia. There are four Sections, each dealing with the power of taxation; exemptions from ad volorem tax; purposes and methods of state taxation and state debt. Powers of taxation cited in the Constitution include the limitation on grants of tax powers; taxing power limited and uniformity of taxation. Also included are the classification of property; assessment of agricultural land and utilities. Sections II and III, dealing with exemptions from ad volorem taxation and purposes and methods of state taxation respectively, focus on voiding unauthorized tax exemptions; exemptions from taxation on property; locally authorized exemptions; purposes for which powers may be exercised regarding taxation; revenue and the general fund and grants to counties and municipalities. Section IV’s role regarding state debt is spelled out in eleven different paragraphs. Article Eight of the Constitution describes Education. This Article deals with public schools; boards and offices responsible for education; local school systems; taxation and educational assistance. Article Nine describes Counties and Municipal Corporations. Article Nine contains seven Sections concerning counties; home rule for counties and municipalities; intergovernmental relations; taxation power of county and municipal governments; limitation on local debt; revenue bonds and community improvement districts. Article Ten of the Constitution describes Amendments to the Constitution. This Article has only one Section with six paragraphs discussing amendments. Article Eleven of the Constitution describes Miscellaneous Provisions. The Article contains one Section with six paragraphs discussing the continuation of officers, boards, commissions, and authorities; judicial review and the preservation of existing law (law prior to the creation and ratification of the Constitution of 1983); confirmation of proceedings of courts and administrative tribunals; the continuation of a number of amendments for the next four years following the 1983 constitution going into effect; special commissions created and the date when the constitution became effective. Article X of the Georgia Constitution provides provisions for changing the constitution. Specifically Paragraphs I, II and IV deal with this subject. 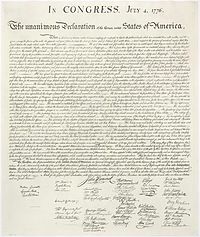 In order to amend the constitution or to begin a constitutional convention for the creation of a new document such amendments or discussion of a convention must be proposed by the General Assembly according to Paragraph I. Furthermore, such a proposal must originate as a resolution in either the Senate or the House of Representatives. Once past this point the “…proposal by the convention to amend this Constitution or for a new Constitution shall be advertised, submitted to, and ratified by the people in the same manner provided for advertisement, submission, and ratification of proposals to amend the Constitution by the General Assembly” according to Paragraph IV.